Technically speaking, a pentacle is a disk-shaped slab with one or more magical symbols inscribed in it. Most commonly, and especially in Wicca, pentacles are inscribed with a pentagram—the upright five-pointed star—with a circle around it (making the name “pentacle” rather perfectly appropriate!). The five-pointed star is an ancient symbol, found in both Eastern and Western cultures, and has been used to represent various aspects of human and spiritual concerns. As an Earth-related symbol, it is associated in classic Tarot decks with abundance. 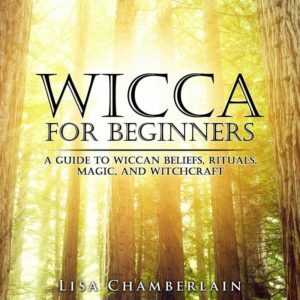 Its use in Wicca comes from traditions of ceremonial magic. Each point is said to represent the elements of Air, Earth, Fire, and Water, with the fifth element (Spirit) as the upward point. Its round shape and Earth associations make it sacred to the Goddess. As a symbol, the pentagram is considered to have inherent magical powers, and is often inscribed on objects such as the hilt of an athame or the cover of a Book of Shadows. This shape is drawn in the air during some rituals, either with an athame or wand, to add power to the work. It is also considered a sign of protection from negative or harmful energies. As an object, the pentacle slab is often used to charge ingredients for spellwork. Initial consecration of ritual tools is also performed by laying the tool on a pentacle. Many Wiccans wear a small pentacle on a chain or cord around their necks, either during ritual or all the time. They may display these openly or keep them tucked under their clothes, depending on whether they’re wishing to declare their spiritual identity to those around them. 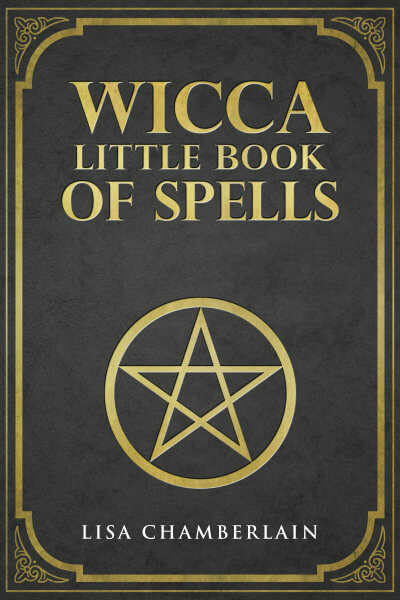 It would be quite rare for a “New Age” shop with any Wiccan leanings whatsoever to not carry some kind of pentacle. They are often made of pewter or other metal, but can also be made of wood, stone, clay, or even wax. Some are intricately carved and/or set with semiprecious gemstones, while others are quite simple. A pentacle can be any size, though you generally want one small enough to fit comfortably on the altar with the other ritual tools. If you find one containing other symbols beyond the pentagram itself, it’s a good idea to know what they stand for before bringing the object into your ritual work. The pentacle is a potent tool in your practice, so it’s important to be sure it’s a good fit with your own energy. Of course, like most other ritual tools, you can make your own pentacle. If you’ve got a round flat object of any kind—a beverage coaster, a jar lid, etc.—and a decent hand with drawing or painting, there’s no reason not to craft your own. You can even find templates online for tracing a perfect pentacle. Just be sure to put your own positive energy into all of the materials before and during the creation process!